When it comes to chicken, I struggle with getting it right and it drives me crazy! So if anyone has any tips on how to get a moist tasty chicken breast, please let me know. For some reason though I can do Chicken Legs, I have yet to mess them up. Lately I have had a supply of fresh basil sitting right in my kitchen so I wanted this to be a highlight with the chicken and decided to pair lemon with it for a nice citrus burst. If it wasn’t for my boyfriend, this plant would be dead…..I have a black thumb (aka forget to water just about everything). The result was great! There was hints of lemon all throughout the chicken and the crispy skin with bites of basil was uber good. 1. In a bowl mix together the juice from the lemon, olive oil, apple cider vinegar and 1 tbsp of fresh basil. Make a few ¼ incisions in the chicken legs and place in either a shallow sealed dish or plastic bag. Pour marinade over and place in the fridge for 2 hours. 2. Remove chicken from fridge and place in a baking dish. Sprinkle pepper over chicken legs. Bake at 375° for about 50 mins or until done. 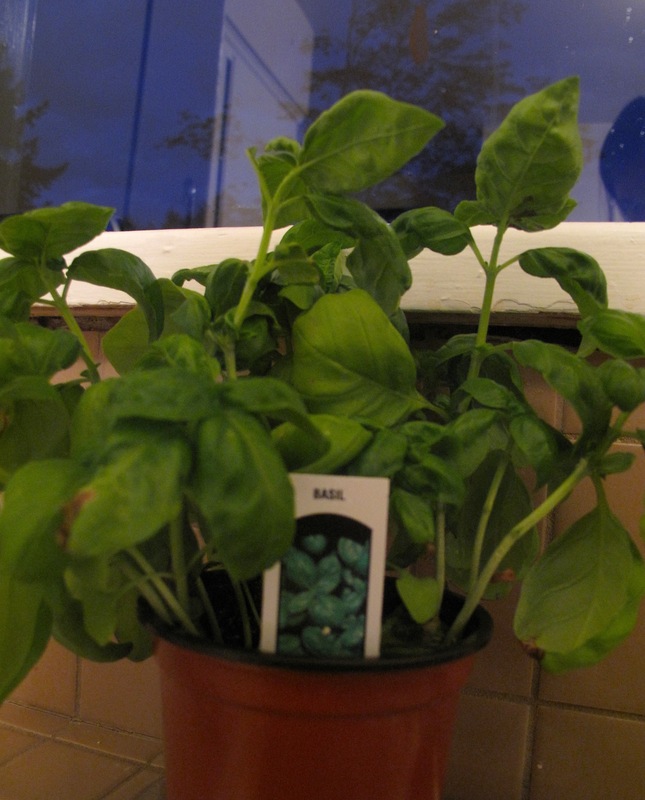 Garnish with remaining fresh basil. 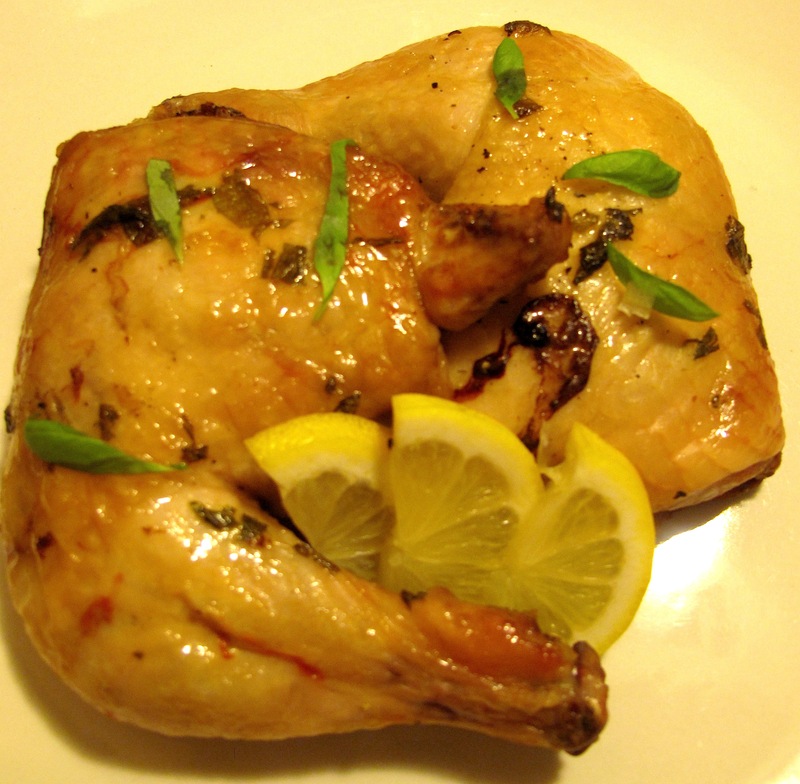 This entry was posted in Chicken, Mains, Recipes and tagged baked chicken, basil, chicken legs, cooking, food, lemon, Recipes by Karina. Bookmark the permalink.